In April 2014, The Hershey Company and USA Track & Field announced a partnership that will transition from the former Hershey Track & Field Games program into the national Run Jump Throw program, beginning in 2015 and extending through 2020. The new program will educate children ages 6 through 14 on the fundamentals of track and field. In addition, Hershey became title sponsor of Run Jump Throw in Canada where it has been a long-standing youth skill-development program. These meets featured collectively more than 5,000 youth athletes, which will help Hershey expand its impact in Track & Field. As a result the local, district and state track meets that were offered in various communities were disbanded by local parks and recreation departments. In an effort to revamp the previous programs- the Hershey Blaze Track Club designed a small meet series to provide s support to community-based, mid-level competitive track meets in the surrounding areas and to foster participation by children who desire to participate. 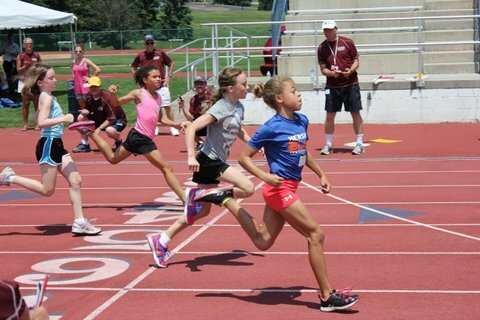 Our Future Stars meets do not require USATF membership to participate..